Mold is a serious issue that can affect any North Las Vegas business or homeowner, regardless of where they are located, the age of their building and the environment in which they live. ERX, Emergency Restoration Experts, works to help you accurately identify the problem and works quickly to eliminate the mold problem in your North Las Vegas home or business. 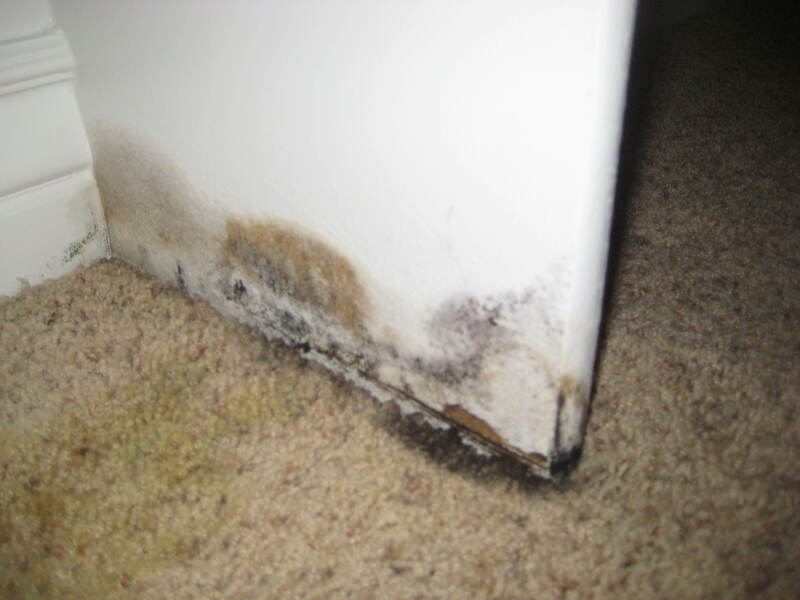 Mold is often a hidden problem, and it thrives in dark, damp environments. It is usually difficult to locate or to reach and you may not even know it’s there. And because certain types of mold are hazardous to your health and safety, if you discover or suspect a mold problem in your home or business it is always a good idea to consult a professional mold removal expert. ERX will get to the source of your problem, identify the type of mold you are dealing with and can safely and effectively remove the mold from your property. Where does mold grow ? First and foremost, mold requires a moist environment to grow. 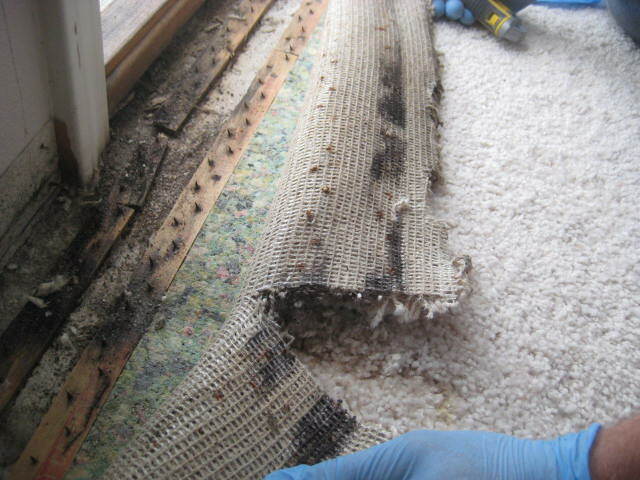 If your property recently sustained water damage from flooding, broken pipes or a leaking roof, you are at a far greater risk of having mold growth. Keep a close eye on these areas after they have been thoroughly dried. If you begin to notice a moldy smell or see any visible mold growth, notify ERX, Emergency Restoration Experts. Not only can mold be dangerous, if you try removing it yourself it can easily be spread to other areas of your home or business. You may not know you have a mold issue. Sometimes pipes hidden in walls will gather condensation and drip, or will have a slow leak contributing to a mold problem. Remember, mold likes dark, damp environments and can grow whenever these two criteria are met. If you know or suspect you have a mold problem, we recommend you schedule a consultation with a mold restoration expert at ERX in North Las Vegas. We will be able to identify the mold, determine if it is hazardous, and can identify the best way to remove the mold. Because removing mold can stir up the air and actually cause the mold to spread, careful consideration should be made before an attempt to remove the mold is made. The mold spores can travel to other areas of your home, through your heating and air conditioning system and into your lungs. Depending on the type of surface where the mold is growing, removal may include the removal and replacement of ceiling tiles, sheetrock or carpeting. It is difficult to remove mold from porous surfaces, and if it has penetrated or damaged the material it should be replaced. The key to preventing mold growth long-term is to significantly reduce condensation or water where you have previously experienced mold growth. You need to eliminate the source of the mold or it will continue to be a problem. If you have a leaky roof or your windows and doors are not sealed properly, water will continue to get into your home. Wherever the water is coming from, address the issue and you will also be reducing your mold problems. 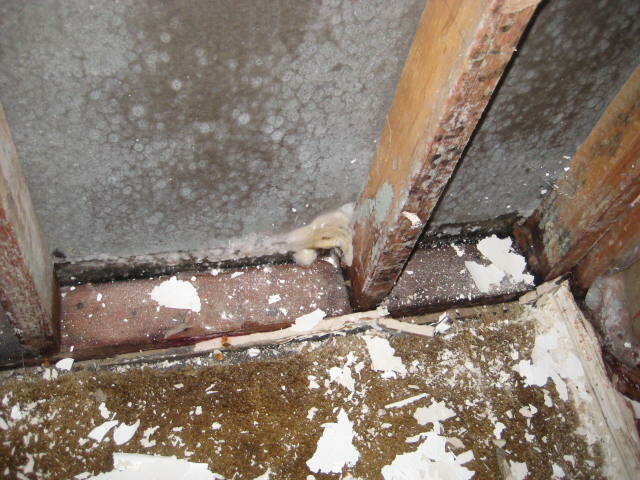 Sometimes mold growth will occur after your property sustains water damage. If you experience flooding it is important to thoroughly dry your carpeting, flooring and walls or any other material that becomes wet. Water damage can lead to a host of other problems as well, so addressing the water damage immediately is your best course of action. If you suspect you have mold, contact ERX, Emergency Restoration Experts at 702-830-9444 today for a consultation. You may not be able to see the full extent of your mold problem, and it could be much larger than anticipated. If it is a large project, you will need the assistance and guidance from an expert. If it is only a minor issue, at least you can have the peace of mind knowing that you and your family or employees are safe.